Don’t worry about generating real estate leads if you don’t have a system in place to manage them. Hiring help is one way to ensure you’re able to commit more time to the tasks that generate commission. Creating a solid base of satisfied clients is the key to generating repeat and referral business. New real estate agents don’t always have great guidance early on. People who elect to work as solo agents from the start, for instance, are typically forced to figure out what works on their own. More often than not, this is a long, painful process, and a large percentage of new agents leave the industry after just a few short years as a result. Of course, there are also new agents who manage to find success in real estate quickly. Parker Pemberton is one new agent who definitely falls into the latter category. Pemberton sold a total of 80 homes, earning over $600,000 in GCI in his first year as an agent. During a recent Pat Hiban podcast, Pemberton covered the practices, resources and tools that helped him achieve such impressive numbers so early in his career. Read on for a few of the top tips Pemberton offered to new real estate agents. To hear all of his advice and learn the details on Pemberton’s highly successful system for converting Zillow leads, listen to the complete podcast below. Too many new real estate agents try to generate leads without a system in place for managing them. Not only is this inefficient, but it also kills conversion chances and bottoms out ROI. Pemberton said that setting up a system for managing leads had a major impact on his success with conversion. To improve your lead conversion chances, you’ll need a system with two things in particular. First, you need to choose the right CRM platform; Pemberton uses Contactually, but there are plenty of great options out there. Second, have and utilize a system for categorizing leads. Categorizing leads as hot, warm or cold is the most popular system, but it’s not the only one. Find a system that works for you, and make it a regular part of your lead management practices. Effective time management is one of the traits top agents share. Pemberton learned early on that better time management translated to more commission and less stress. One way to maximize the time you’re able to commit to dollar-productive activities is to hire help. To reduce time spent on paperwork, Pemberton hired a transaction coordinator. If you find yourself spending valuable time drudging through paperwork that someone else could complete on your behalf, you might want to consider doing the same thing. Because transaction coordinators typically work on a per-contract basis, they’re extremely low-risk hires. As a new real estate agent, building a solid base of satisfied customers should be one of your top priorities. Creating this base is the key to generating business from repeat and referral clients. Starting out, most of your clients will likely be buyers. Ensuring buyer clients are satisfied isn’t complicated, but it does require work; you can’t be lazy if you want to wow them. 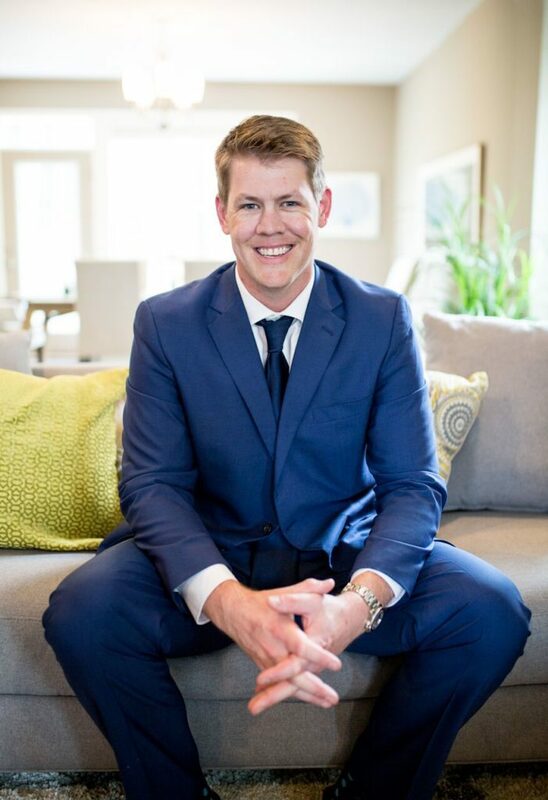 To wow his buyers, Pemberton puts thought into the homes he sends them; he finds out what they’re looking for and does his best to provide them with information on available listings that fit the bill. Clients appreciate and expect this level of involvement. Don’t be one of the new agents who bombards buyers with an endless stream of random MLS listings, and you won’t be an agent who has no repeat or referral business. If you want to learn more about how you can achieve a high level of success as a new real estate agent, be sure to listen to the complete podcast interview with Parker Pemberton. Pat Hiban is the author of the NYT bestselling book “6 steps to 7 figures – A Real Estate Professional’s Guide to Building Wealth and Creating Your Destiny,” the founder of online real estate sales training site Rebus University and the host of Pat Hiban Interviews Real Estate Rockstars an Agent to Agent Real Estate Radio Podcast with Hiban Digital in Baltimore, Maryland. Follow him on Instagram or Twitter.